It does look like a whole different design. Interesting. How about a light or medium grey or black for the sashing. I think the grey would make the white stars pop. I like the way a medium to dark grey makes colors pop. Might work for your sashing. They are both pretty, but the small stats definitely pop more in the second quilt. 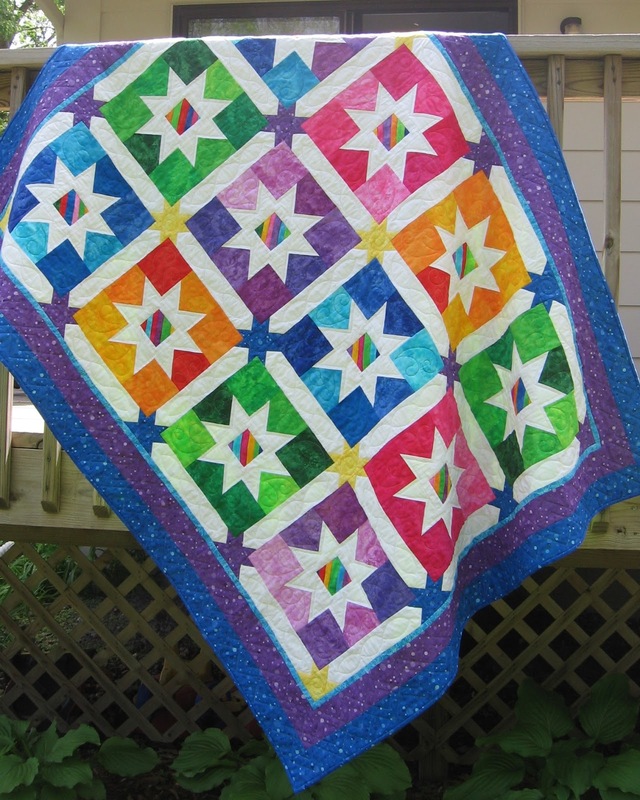 I love the bright colors in the one quilt, but I do like the star points in the border in the other. 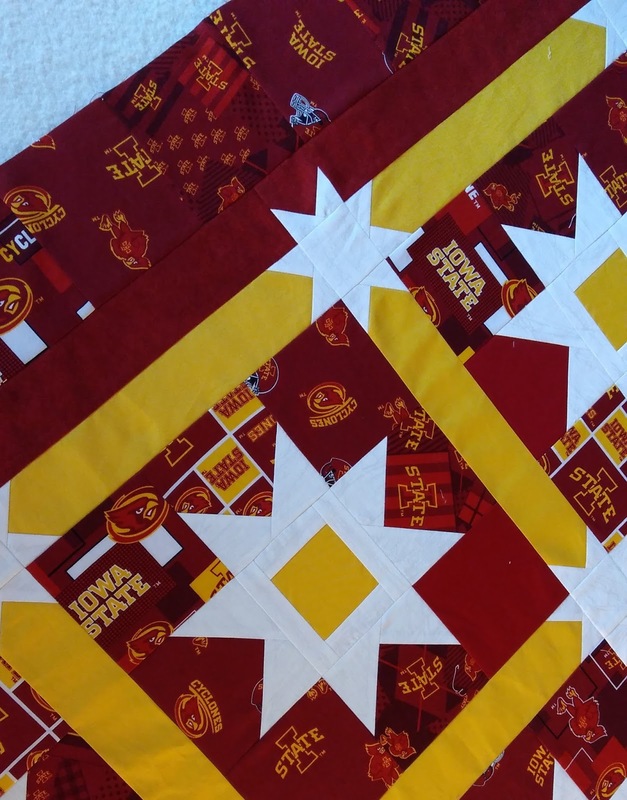 I could easily live with either one with just one exception: that Iowa State fabric might not fare too well with my grandsons, one a Texas U fan, and the other a Texas Aggie fan! 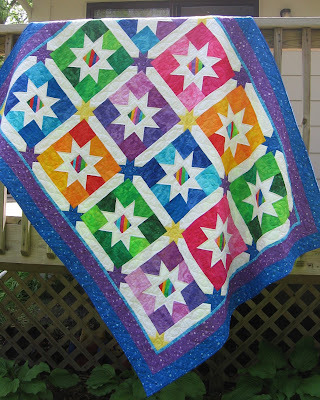 *giggle* ---"Love"
The revamped version is just as striking and I love how you incorporate stars into your projects (a nod perhaps to your DH?). While I absolutely love the original version, I like the orange for the fact the little stars really really pop! If you did the orginal colors how about navy or black for the little stars? I love the original Jelly Bean Star. I'm sure once the new blocks are made, just the right fabrics will come together for the star sashing. Interesting to see how the tweaking alters it so much - serindipitous that you needed another version of your original! Oh what possibilities! Adding the star points definitely is better. 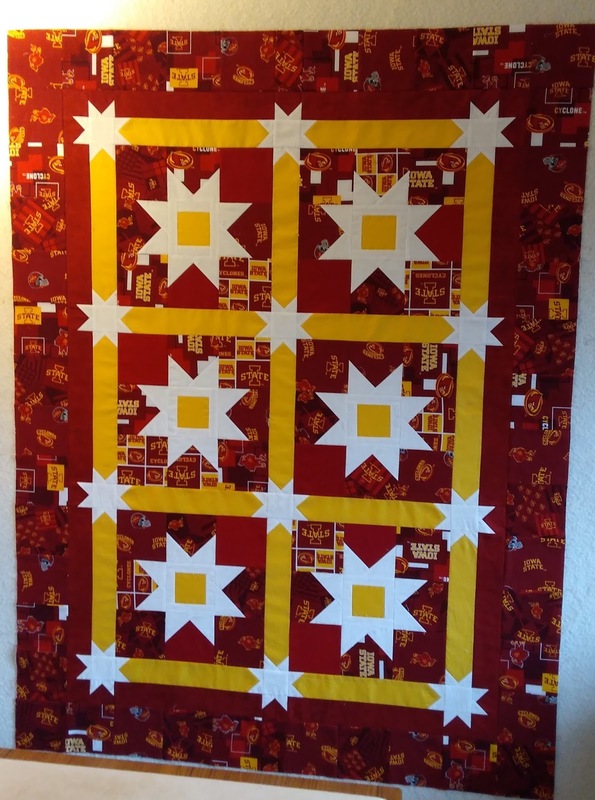 I wonder how a yellow sashing would look with the bright colors and white stars?